I have recently purchased a P160 that, per the 2nd owner of this engine, has received its 25hr service under the previous owner from whom owner #2 bought the engine from. It has a little over 4 hrs run time currently and is very smooth. I have sent a request to Jetcat Americas, aka Dreamworks , to inquire about their service records and im hoping they were the ones that zero timed the engine. 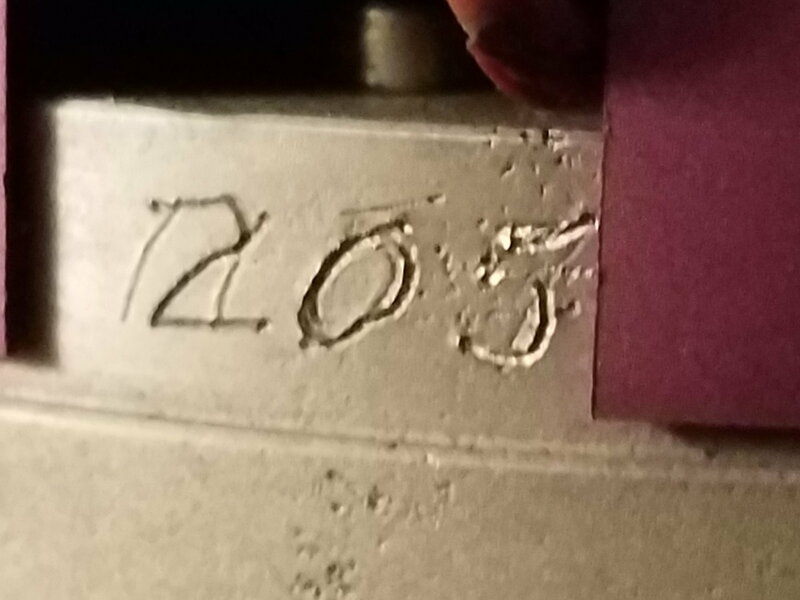 My puzzlement is about the serial number which looks like it has been written over as seen in the picture. It looks like it did read 1157 but reads now as 250. After hearing back from JetCat America’s, it has been determined that a P160 with the assumed serial number has had service there and had been upgraded to Titan in 2008 and serviced in 2011. Original owner was overseas. Thanks to the Jet Cat service center for finding what info they could. Now to find a ride to put it in.